In searching for a range bag, I’ve found black, stark militaristic bags and at the other end of the spectrum, pink gear bags that all gun industry marketers think us women want. As you all know, I don’t do pink. Red and Black are our signature colors here at Guns and Lace. Any woman will tell you fashion is all about the accessories. 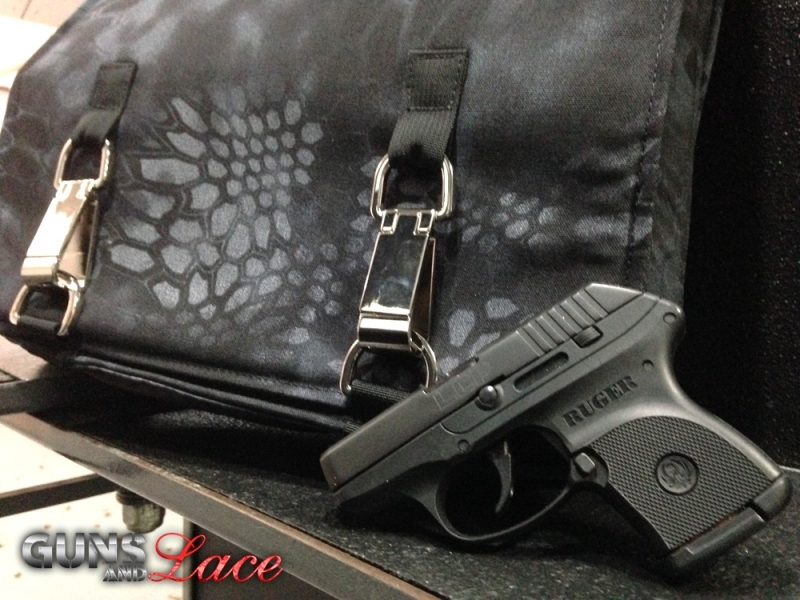 Shoes, jewelry and the bag… Up until now, I had to settle for a black range bag AND taking my purse to the range. Many women shooters can attest, when taking a purse to the range it never fails, we end up finding loose casings when digging around in our black hole of a bag for our lipstick or keys. 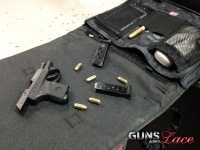 While it normally isn’t a problem, it can be a bit of an embarrassment at airport security. Off Hand Gear has designed and developed a new gear bag perfect for us ladies at the range. 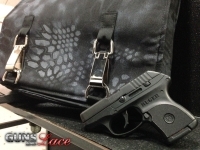 No Ordinary Range Bag, otherwise known as NORB, is a fashionable option for women shooters. Use it for your range bag, as a carry purse or as a combination of both, either way, it is a woman’s dream bag. With pockets and pouches for lipstick, cell phone, hair ties, and your keys. Not to mention a Mag holder for 2 magazines, up to four boxes of ammo, and eye and ear protection. You will not believe how much this bag can hold! 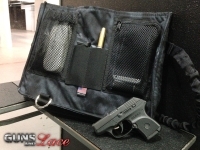 There are two pouches for your pistol and back up piece or possibly a pistol and a large wallet. There is exterior access to both pouches. Not only do you have your range bag but an easy way to conceal carry from the car to the range! The bag comes in Blue RipStop and Typhon Kryptex, which is a stylish black and gray design, this is one great looking bag and it is as functional as it gets! The material is durable and water resistant and the quality is excellent! The bag’s flap also has a “slip-not” interior fabric that can be utilized for a non-skid surface as a range pad for your handgun. This made in the USA handbag gets a Guns and Lace, Guns Up Salute as a great range bag for women. For more information visit OffHandGear.com or visit us online at GunsandLace.com.